Open the Protection and Control tab and expand the Tasks section. Right-click on the Update task. Select Start update from the shortcut menu. The database update task will start. /R <report file> — saves important events to the specified report file. /RA <report file> — saves all events to the specified report file. /C:<configuration file> — specifies a configuration file. /S — runs the task in asychronous mode. Go to the Settings tab and select Scheduled tasks → Update. 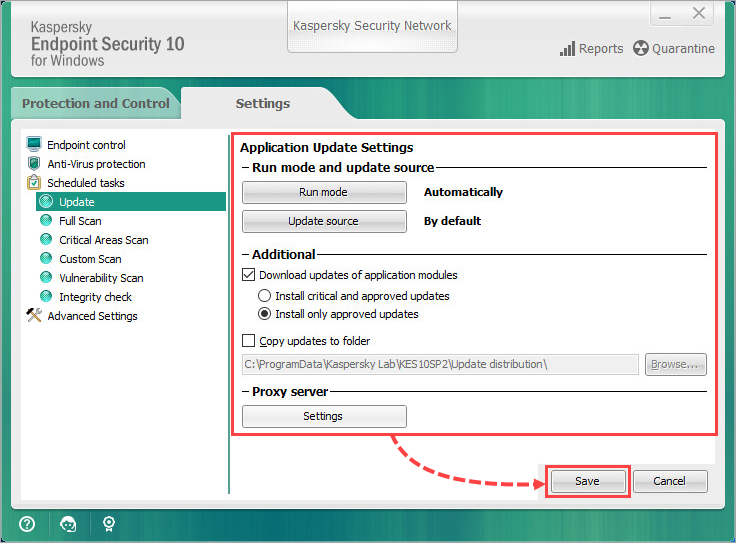 Configure the settings for database and module updates. 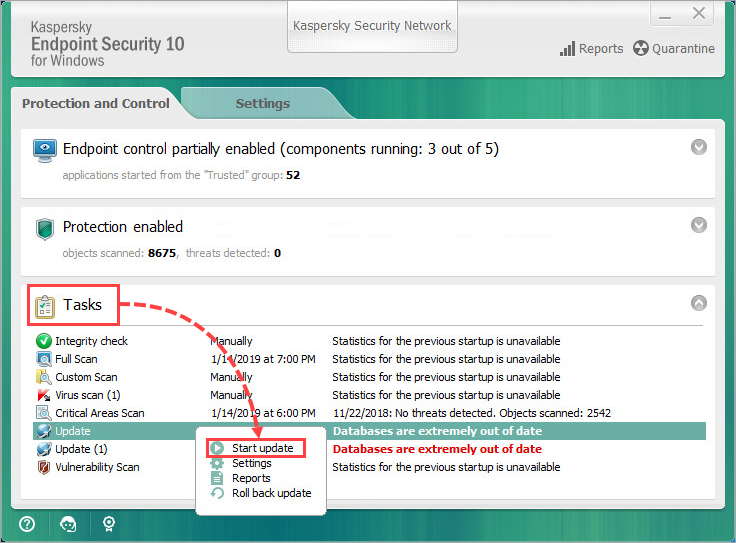 For more information about configuring database and module updates, see the Online Help page.